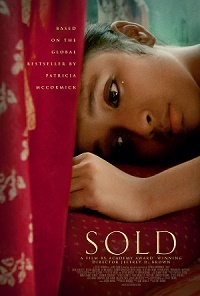 SOLD is a narrative, feature film adaptation of the globally acclaimed novel by Patricia McCormick. Based on true stories, SOLD, is the story of Lakshmi who journeys from a pastoral, rural village in Nepal to a gritty brothel/prison called Happiness House in Kolkata, India. Through one extraordinary girl's story, SOLD illustrates the brutality of child trafficking, which affects millions of children around the globe every year. Globally the average age of a trafficked girl is thirteen, the same age as the girl in the film. SOLD is a call to action, and a testament to the power and resilience of the human spirit. SOLD is directed by Jeffrey Brown, and stars Gillian Anderson, David Arquette and Seema Biswas. This screening is a hosted by Friends of WPC Nepal and Women's Work International. Proceeds from movie ticket sales benefit a Nepal Safe House for trafficking survivors. Advance Tickets: $15 presale, $12 for students, $25 at the door plus applicable fees.